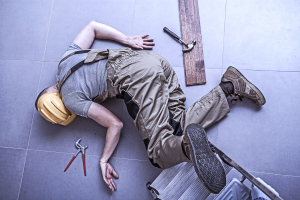 Many work related-injuries involve lifting or a fall. However, no matter what the injury, if you are in pain or unable to perform your job duties to the best of your ability, it is important you seek the care you need. At Advanced Spine and Sports Care, our staff is trained in Workers’ Compensation Insurance to assist with the process of claim submission and to make sure you receive your right to medical coverage. We have the experience in workers compensation chiropractic care to ensure proper communication with your employer and insurance company and, most importantly, to get you out of pain. Dr. Amir Nadimi’s first job is to examine and diagnose your injuries using extensive knowledge of acute injuries and the technology available to us. It is then with our experience that we determine a treatment plan that gets you back to working at your full potential safely and quickly. As chiropractors, we treat not only joint injuries, but can help the healing process in your muscles and tendons. Acute or traumatic injuries, like those that happen while working, can cause sprains in your tendons and ligaments as well as strains in your muscles. These injuries can cause symptoms ranging anywhere from headaches to numbness and tingling to knee or elbow pain. Our treatment plans are developed to not only correct spinal dysfunction, but to facilitate the healing process of the surrounding tissues.